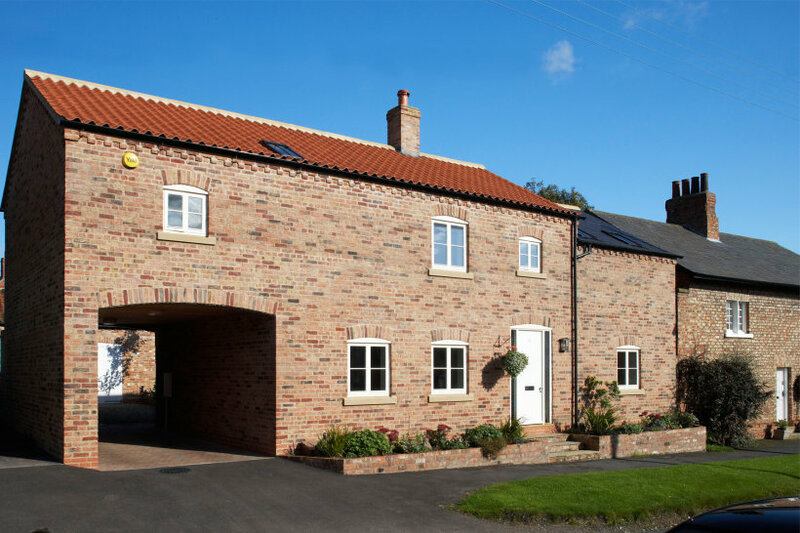 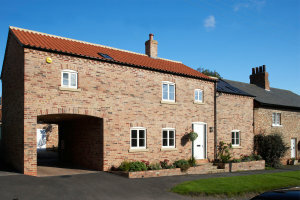 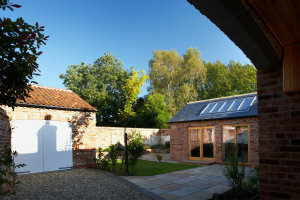 This new house completed in 2008 was built within the Dunnington conservation area. 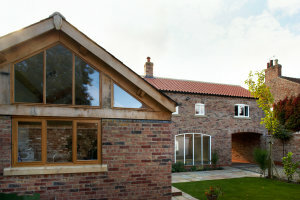 The site of a former barn in the grounds of a Georgian detached house, the Conservation and Planning Officers required the new house to look like a converted barn and the design reflects this on the street elevation where small window openings and two different roofs allow the building to sit comfortably between the two adjacent properties. 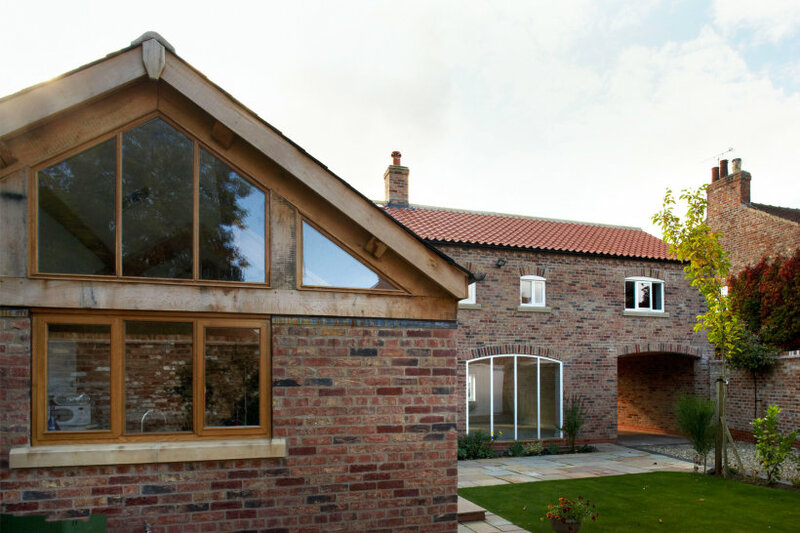 Handmade bricks in a traditional bond add to the traditional detailing while at the back larger windows and the dining room extension take full advantage of the south facing courtyard garden. 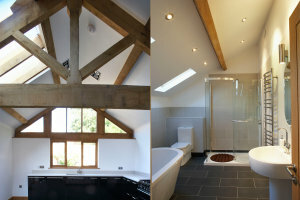 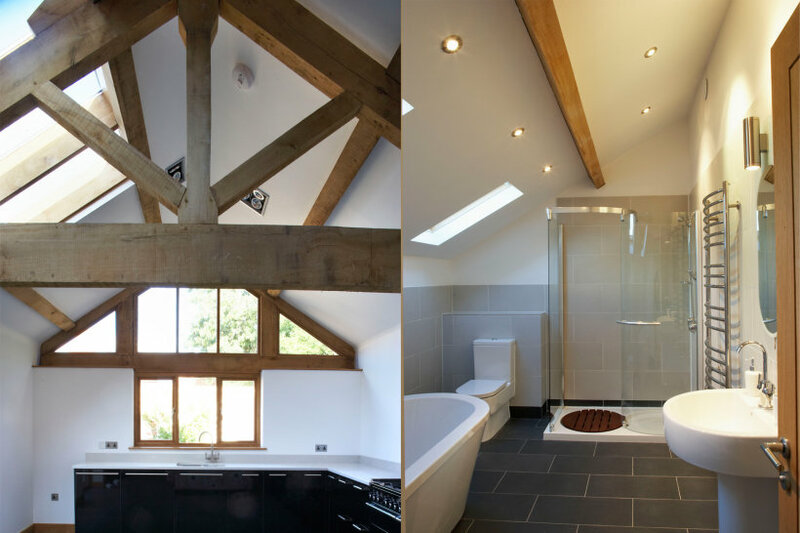 The interior design is elegantly simple in a natural range of materials, primarily oak, stone and brick. 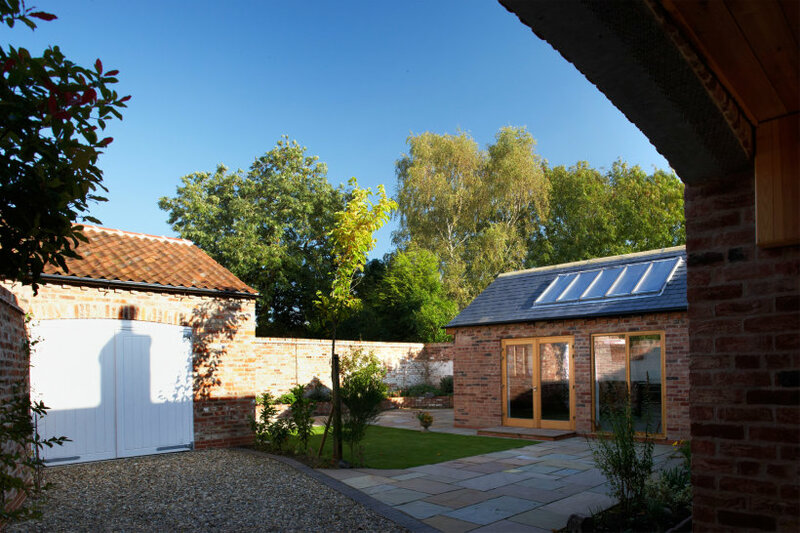 Ground and first floor under-floor heating combined with whole house ventilation with heat recovery creates a comfortable and economical to run family house.